Bloomington, CA (February 3, 2019) – Police reported that 18-year-old Seth Wilhoite was killed in a fatal accident that took place on the 10 Freeway on Thursday morning this past week. The accident happened just west of Cedar Avenue around 5:08 a.m. Originally, police did not identify the pedestrian but, after family was notified, his name was released to the public. At the time of the accident, Wilhoite had been walking across the street heading westbound when he was struck by a car that suddenly drove past. The driver allegedly stopped at the scene so that they could cooperate with police in the investigation. At this time, investigators are still trying to determine liability in this deadly accident. We would like to extend our sincerest condolences to the family and friends of Seth Wilhoite at this time, as we understand how difficult it can be to face the aftermath of one of these accidents. You are never alone after losing a loved one. California recently rated 15th on a list of states with the highest amount of fatal accidents involving pedestrians. 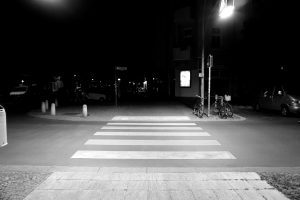 Pedestrians are actually some of the most vulnerable parties on our roads, putting them at particular risk when drivers are not paying close attention to what is happening around them. As a result, a fatal accident can take place in the blink of an eye, completely turning your life upside-down during this desperate time in your life. Our California pedestrian accident attorneys would like to speak with you if you have lost a loved one in this way. At the Los Angeles Injury Group, our attorneys have handled a wide variety of personal injury claims, including those that involve pedestrians. Our pedestrian accident attorneys are skilled and dedicated to handling your claim on behalf of your loved one and will help you explore all legal options you could be facing so that you can move forward emotionally and financially after a loved one was taken from you. Do not hesitate to contact us to find out what we can do for you at 310-954-7248.